This movie is so real. Direction is superb. Vicky kausal is brilliant in his performance. Script is tightly bound. Music just complements the action, makes it even better.Must watch !! Watched a wartime movie after long time but I must say this one was the best I saw till date. This movie has a no nonsense plot which is entirely focused on the operation that was conducted for URI. The best part of this movie was there was no unnecessary romantic scene. Another best part of this movie was there was no unnecessary talks, cuss words to show the army's behavior, unlike other movies in past where half of the time is use to convince the audience why the operations are necessary. This is a must watch movie for everyone. 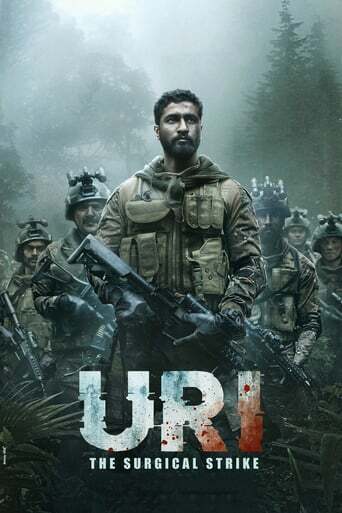 Downloading Seeding Uri The Surgical Strike (2019) [WEBRip] [720p] [YTS.AM] from to 0 peers.